At Equatex, we understand the complexity involved in delivering new awards. We also understand the importance of having a fully auditable trail to remain compliant. That’s why we have introduced EquateFalcon, the powerful new awards engine for EquatePlus. Spreadsheets and error-prone manual calculations are simply no longer suitable practices for international corporations today. Audit requirements and the cost of managing complicated rules mean that organisations are turning to EquateFalcon for the robust, streamlined solution they increasingly require. 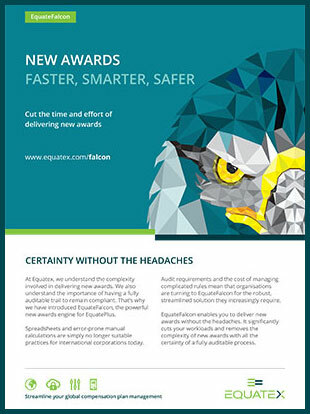 EquateFalcon enables you to deliver new awards without the headaches. It significantly cuts your workload and removes the complexity of new awards with all the certainty of a fully auditable process. 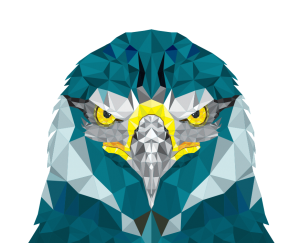 EquateFalcon is the powerful new awards engine for EquatePlus and comes with a fully supported set-up service from a dedicated team of experts. It is designed specifically for complex multi-jurisdiction schemes with extensive levels, rules and exceptions.